Cancer natives are ruled by the Moon. You experience mood swings more than anyone else in the zodiac. Your instincts, emotions and habits are greatly influenced by your planetary ruler. How will you manage your emotions in the coming year? Let Cancer Horoscope navigate you in 2017. 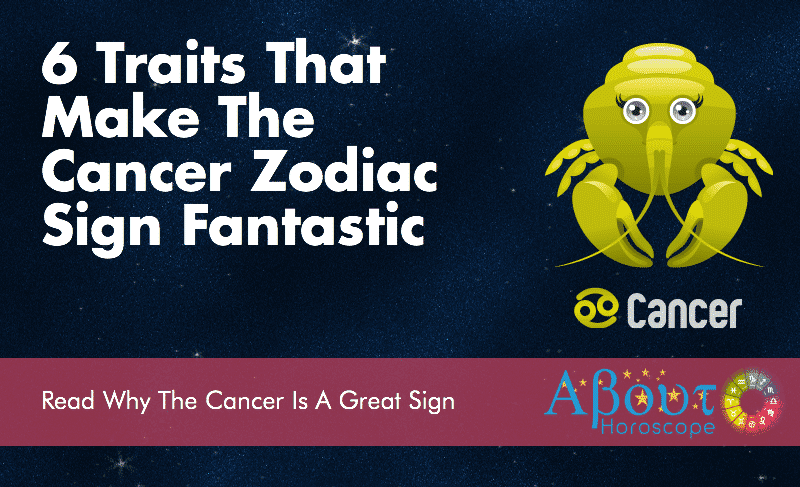 Cancer horoscope predictions shows that 2017 is the year to come out of your shell.It calls you to be bolder and more determined. Do not allow yourself to be weakened by your emotions. Learn to control your ever changing moods. Try your best to win over melancholy by working hard to provide the best for your loved ones. You have to have the right frame of mind. Stay positive all year through! Cancer will be able to rise to any challenge in 2017. Family’s security is the driving force of people born under this sign. You will draw strength and motivation from them. Before you begin your 2017 journey, leave your emotional baggage behind. It will be easier to reach the top without extra weight on your shoulders. Start unloading so you can travel light! According to Cancer Love Horoscope 2017, the Crabs will be in the mood for love. You will be more sentimental, romantic and passionate. At times you will find it difficult to strike a balance between career and love. So many things will happen at the career front that your schedule will get muddled. Cancer men and women have strong paternal and maternal instinct. They are very protective of family that more often than not career will place second. Do not worry because in 2017, you will possess enough energy and wits to balance your time between family and work. For Crabs who are committed, find ways to make up for lost time with your partner. You are a highly sensitive Water sign so you will be able read your partner really well and respond to his/her needs. Single ones will be swept away with love. The younger ones are more adventurous in love, but this year flings are unlikely to happen. Destiny will make your eyes swoon. Your best matches are Virgo, Taurus and Capricorn. You will be a busy bee in 2017. Cancer career forecast sees a lot of work lined up for you in 2017. If you are employed, seniors will see you in a new light and entrust you with many tasks. If you are running your own business, many positive changes will occur and will eat up most of your time. Things will certainly speed up and you better come up with a plan before 2016 closes so you will be able to successfully manage your life and work in 2017. Take a positive approach to everything. Do not allow your moods to dampen your spirit even during the Full Moon. Crabs rarely get out of their comfort zone. Do not be afraid to welcome changes or explore new territories. You may miss out on wonderful opportunities if you do not open your doors to possibilities. Weigh out your options because something better might be out there waiting for you. If you run a business, try to be more flexible to innovation. If you are employed, do not hold on to a job just because you are so accustomed to your working environment. When you receive job offers from other companies, give it some thought and because the grass maybe greener on the other side. Cancer people who are still in school will have a smooth sailing year. However, you can’t afford to sit back and be complacent. Get involve in school activities to hone your leadership, communication and social skills. Resolve to excel in school this year. Do not settle for average because you are capable of excelling. Take time to update your IT skills. Get moving this year. As per Cancer health forecast, you will be bursting with energy in 2017. Perhaps you are scratching your head now because you are not the type to hit the gym or hit the road for a marathon. Oh well, just the same get into a new fitness program. Leave your couch and get active. Take up a new sport or sign up for a workout class that suits you. Get into Yoga, spin class or go for a 30 minute walk every day. Your stomach is the weakest part of your body. Monitor your stress level so you won’t get indigestion or ulcer. Earnings from investments and your job will increase this year. Financial outlook for Cancer in 2017 gives you something to smile about. There will be additional income from extra work or projects that you take outside your regular work. There’s also money coming in the form of inheritance. You are just on a roll this year! You will receive many investment proposals. Study them well and trust your instincts. Crabs rarely fall for get-rich-quick schemes so you will be able to choose your money placements wisely. Long term investments will appeal to you because this will ensure better ROI. You will also be fortunate in the stock market. Your intuition will serve you well here. January – This month will start off with big work load. Nothing that you can’t handle. There is a surge of energy this month that will enable you to meet deadlines. Put a ceiling on your expenses and don’t rack up your credit cards. Buy only what you need and keep your savings intact. February – Cancer monthly horoscope 2017 gives a favorable forecast. Your earnings will increase this month. You may receive an increase in salary, substantial amount of commission or business profits. Additional income can come from investments or new business deals. March – Work takes center stage. Be prepared for a hectic month. Do not buckle under pressure. Your superiors have their eyes on you. Just keep giving your best because your efforts will not go unnoticed. However, don’t let your work swallow you. Take a break from time to time. April – Work load will ease up, giving you enough time for overdue R and R. Take a short vacation with your family. Go out and spend time with your friends. Recharge mentally and physically. May–Law of attraction will empower you this month. Think only of good things for it will come to you. Stay away from toxic people because they will drain you. At the career front, jump at the chance to show your leadership skills so you will not be overlooked when promotion time comes. June–Promotion, job offer or new assignment might be given to you this month. Review the offers carefully before you make a decision. Your social life will be active. Watch out for an overly convincing person. He/she may not have the best intentions. July–Cancer people will be faced with life changing decisions. In love, you will have a strong desire to enter into a long term commitment. A Cancer man will not hesitate to propose marriage when he finds the one for him. In business, joint ventures are foreseen. August – This is a pleasant period. You will beam with positivity. A promotion, raise or recognition for your hard work will be given to you. You will be able to spend more time with family this month. Money will come from different sources. September – Money luck continues this month. There will be power struggles at work. Relieve office stress by spending quiet time with family. Take a stroll in the park with your partner to clear your mind. Or hit the gym. October – The planets Jupiter, Uranus and Neptune will team up to give your career and bank account a boost. This lucky collaboration will lead to career advancement and increase earnings this month or early November. It’s a good month for single Cancer to meet new people. Ask your friends to set you up. November–Life’s pace will slow down a bit this month. Take this opportunity to recharge and get into activities that help the mind relax. You have stayed on the grind since the year started so go on a well-deserved break. Plan a get together with family and friends. December–As the year closes, you will receive a lot of family love. Single Cancer will delight in a newfound relationship. Romance is in the air. Enjoy this season and spend time to look back on 2017. End the year with gratitude in your heart. This is the kind of year that you are longing for. 2017 will usher in career opportunities, money luck and fulfilling romantic relationships to the Crabs. Your mood will generally be on the upswing and you will have abundant energy this year.